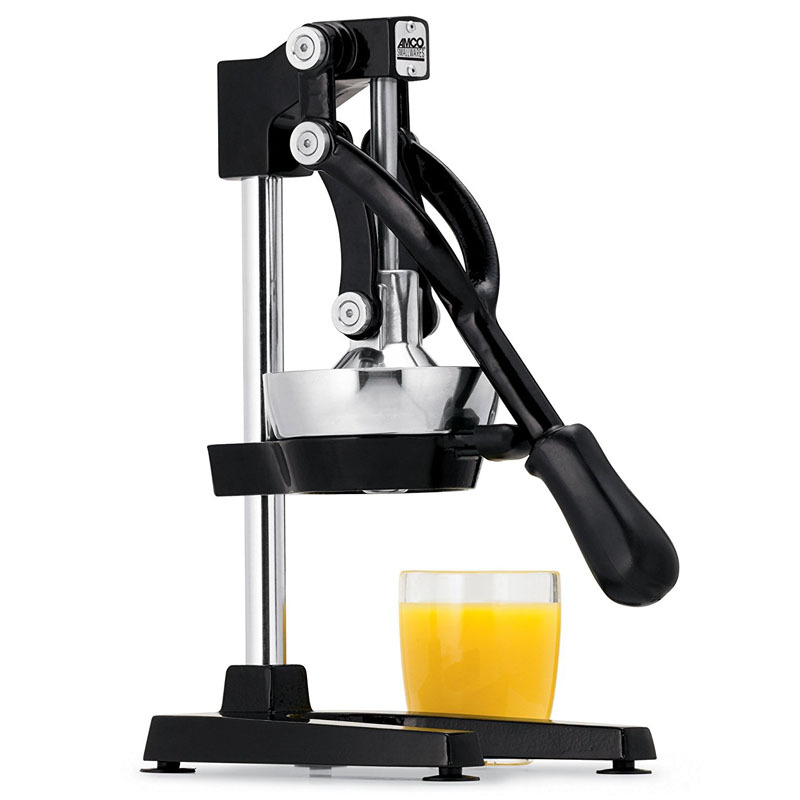 The Jupiter large Commercial Juice Press, formerly known as the OrangeX Juicer, is a professional-quality citrus press. The OrangeX Juicer is suitable for both home use and commercial use. The mechanism is designed to squeeze every drop of juice out of the fruit, just cut the fruit in half, put it on the cone and pull down the lever. The OrangeX Juicer is a stainless steel juice press popular with the food service industry. The mechanism uses 2300 PSI (pounds per square inch) of force to extract the juice. Hamilton Beach Commercial Citrus Juicer model 932 is designed to extract pure citrus juices from oranges, lemons, limes and grapefruits. This popular manual citrus press with rack-and-pinon gearing exerts up to 2,000 lbs. of pressure for maximum juice extraction. Hamilton Beach Juicer 932 is very simple to use. A swing-out juice collector cup allows you to easily obtain the extracted juice. The strainer cone filters out pith, pulp, peel and oil. The Sure Grip non-skid base keeps the juicer still while protecting the countertop. 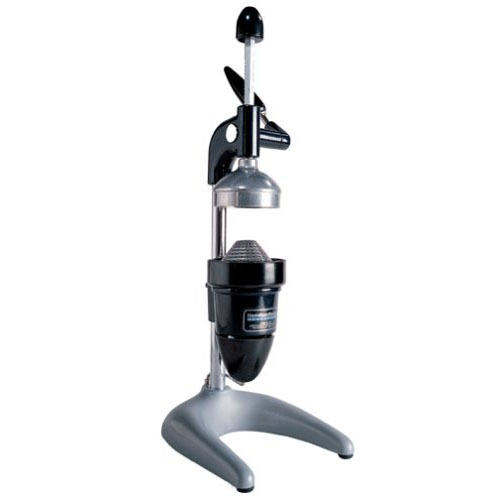 Breville 800CPXL Die-Cast Citrus Press Juicer has a Quadra-Fin™ cone to maximize juice extraction of citrus fruits. This Citrus press is housed in professional-grade brushed stainless steel with an innovative power-assisted arm press lever to make juicing effortless. The die-cast stainless steel juicing cone centres the fruit on the dome, and the unique Quadra-Fin™ technology juices any citrus fruit without the need to change cones. 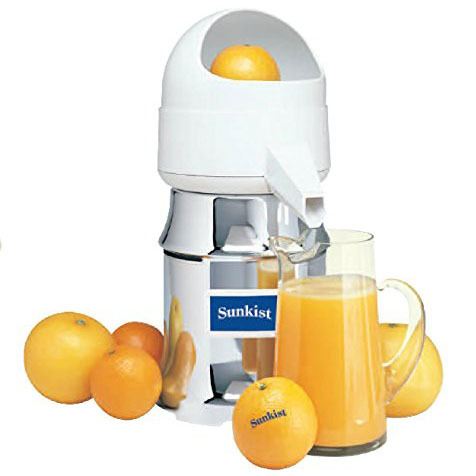 Sunkist Commercial Citrus Juicer model J1 is a workhorse that can endure extensive daily heavy usage. One of the main features is a metal oscillating strainer which separates the juice from the pulp to get more juice from each piece of fruit. The Sunkist Citrus Juicer is ideal for juice bars, restaurants and other busy commercial outlets, but it’s also great for home use. As people are becoming more aware of the many health benefits of juicing, the demand for juice extractors has led to many new juicer designs. So what are the best juicers on the market today? 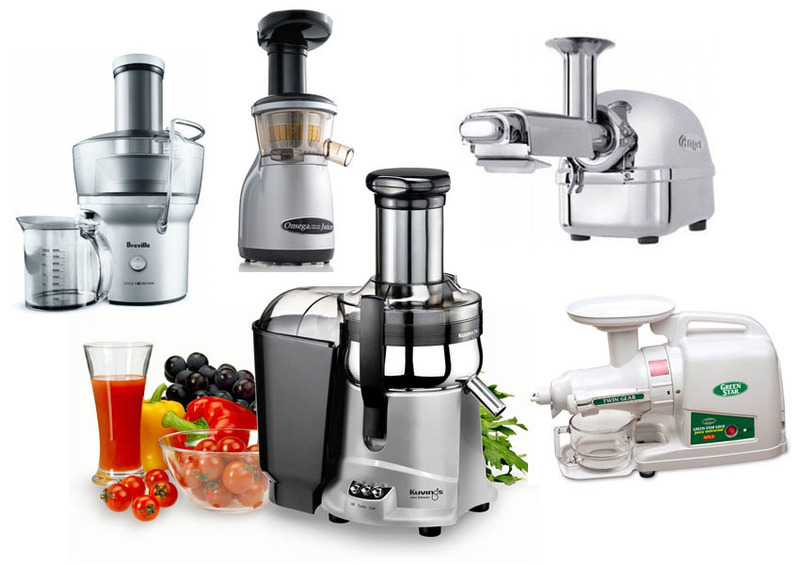 There are several types of juicers for juicing fruits and vegetables. Centrifugal Juicers are generally the most affordable and therefore the most popular consumer juicers. A centrifugal juicer uses high-speed centrifugal force to quickly extract juice. You put the fruits and vegetables in the feeding tube and into a spinning basket, and juice will be produced in seconds. This method of juicing creates a lot of oxygen bubbles, so the juice must be consumed right away as the oxidation will cause loss of nutrients. 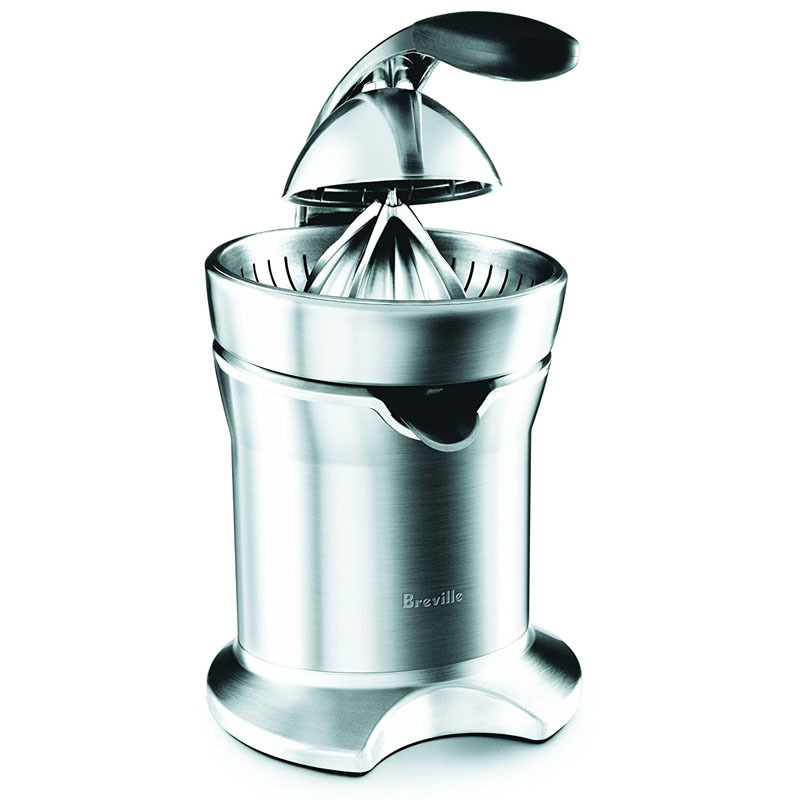 Masticating Juicers are Single Gear Juicers that use a single rotating grinder to slowly grind fruits and vegetables. The resulting juice has less oxygen bubbles and is less foamy. This method of juicing allows the preservation of nutrients, and the juice can be stored a little longer before nutrients are lost. Triturating Juicers are Twin Gear Juicers that extract fruits and vegetables by using two interlocking grinders. Triturating Juicers use even slower speed to extract juice, but they are also the most efficient types of juicers that produce the most vitamins and nutrients. For citrus fruits such as oranges and grapefruits, there are specially designed Citrus Juicers that use motorized mechanism or manual press mechanic process.